Location : The Bharatpur Bird Sanctuary is located in Bharatpur in Rajasthan. Best time to visit : Bharatpur Bird Sanctuary is open throughout the year but the best months to tour the sanctuary are from August to November for seeing the resident breeding birds and October to February for the migrant birds. Bharatpur Bird Sanctuary or the Keoladeo Ghana National Park is one of the best bird parks in the world that extends protection to fauna (animal) species also. Bharatpur national park houses more than 300 species of birds and Keoladeo, the name of the sanctuary is derived from an ancient Hindu temple, devoted to Lord Shiva, which is located at the centre of the park. 'Ghana' means dense, referring to the thick forest, which used to cover the area. It houses indigenous water- birds along with migratory water birds and waterside birds and is also inhabited by Sambar, Chital, Nilgai and Boar. Air : 56-kms from Bharatpur is the nearest airport situated at Agra. Rail : The Bharatpur railway station is 6-kms from the park and regular rail services connect Bharatpur with all the major cities of India such as Delhi, Mumbai, Jaipur and Agra. Road : A fine network of roadway services links Bharatpur to all the major cities of the Rajasthan and its neighbouring states like Delhi, Uttar Pradesh, Haryana. Bharatpur is well connected by road from Agra (56-kms, 5 hours), Delhi (176-kms, 5 hours) and Jaipur (176-kms, 6 hours), all of which have airport facilities too. Flora : The sanctuary spans of 29-sq-kms of which 11-sq-kms are marshes and the rest scrubland and grasslands. Birds : The park houses resident and migratory birds in large number. Numerous migratory birds coming from as far as from Siberia and Central Asia spend their winters in Bharatpur, before returning to their breeding grounds. 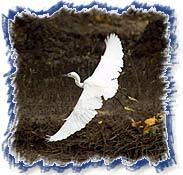 Migratory birds at Bharatpur bird sanctuary comprises of many species of Cranes, Pelicans, Geese, Ducks, Eagles, Hawks, Shanks, Stints, Wagtails, Warblers, Wheatears, Flycatchers, Buntings, Larks and Pipits. Besides, you might also come across few mammals at Bharatpur. Sambar, Chital, Nilgai and Boar are some of the animals you will find here. The park can be explored by foot or by a rickshaw ride. Rickshaw are the best option and they can hired from the entrance of the park.